Today, let’s talk trying again. I’m pretty sure I’ve tried to copy this inspiration photo before. I’m pretty sure I had the same luck trying to wear this mustard tank this time as I did before. Mustard tank-2, MissyAnn-0. Yeah, no-go on the mustard tank. We don’t want to give up that easily, though. Instead of the mustard tank, I opted to try a different summer shirt. This was one I bought on vacation in Mississippi (see that post here). 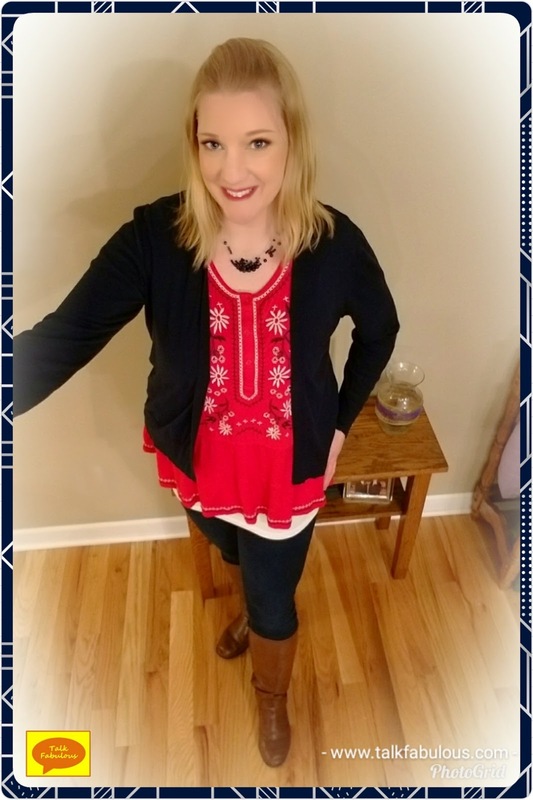 I’ve been curious if this top would transition into winter with a navy sweater and leggings. Turns out, it does! When first you don’t succeed, try something new! Who knows what surprises are waiting for you in your closet! Today, let’s talk restyling. We do a lot of restyling here, it’s kind of our thing. Even when copying a look, we can still put our own spin on it to make it something unique to our style. Take today’s inspiration outfit for example. When recreating the look, I stuck pretty close to the original. 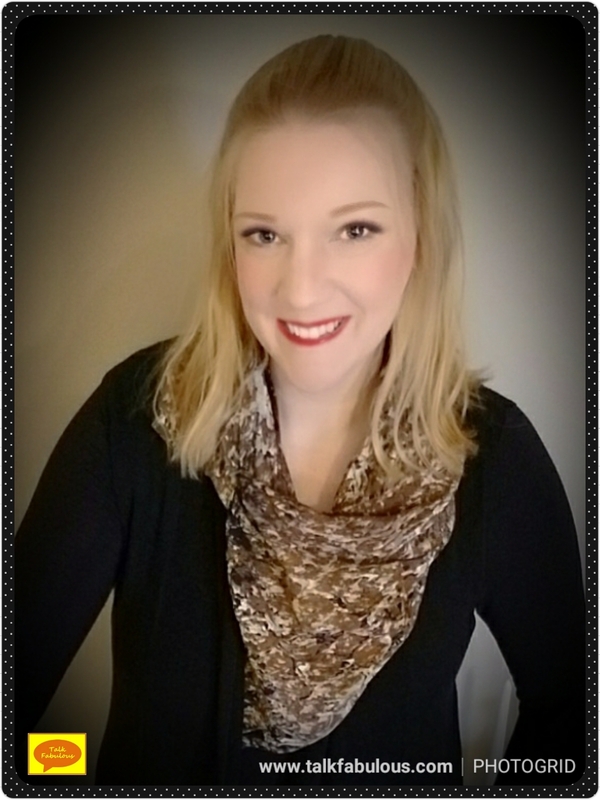 I kept the same black top with an animal print scarf, maroon pants, and boots. However, I chose maroon leggings and tall boots. I also added a long cardigan to amp up the look. With very little effort, I took the inspiration outfit and made it my own. Don’t be afraid to copy a look you admire. It’s super easy to add a few small touches to make it your own! How do you put your own spin on an outfit? Today, let’s talk double duty. 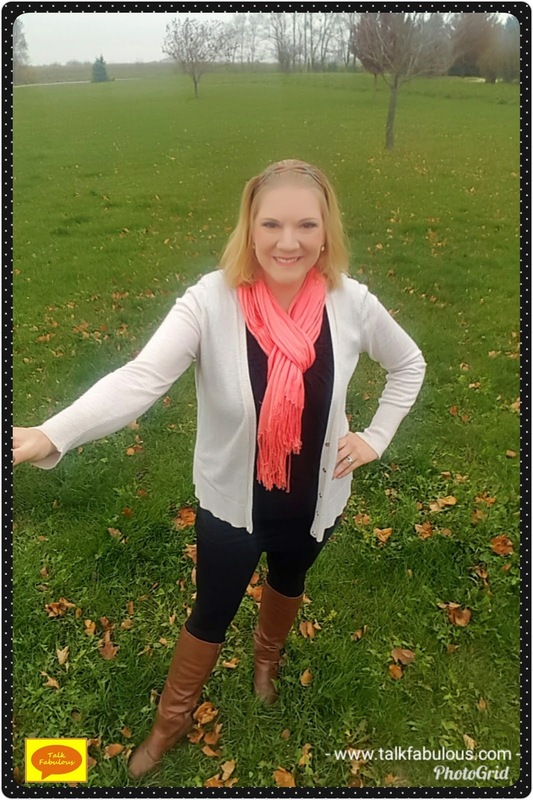 We all know that I love pieces that can work in the warm weather as well as in the cold. 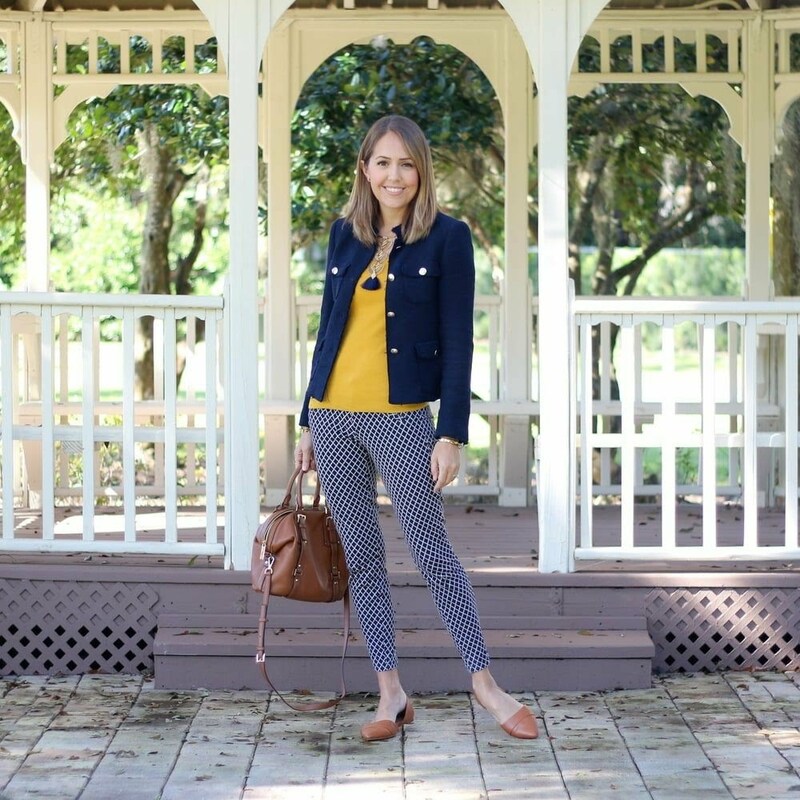 Today’s outfit features a piece that can do just that! You may remember this pink number from Carry On Challenge: What I Learned. If you recall, I was not prepared for the heat and humidity of Mississippi on our trip last fall. To stay cool, I had to go pick up a few hot weather shirts. I’ve been curious if these could be worn in the winter too. 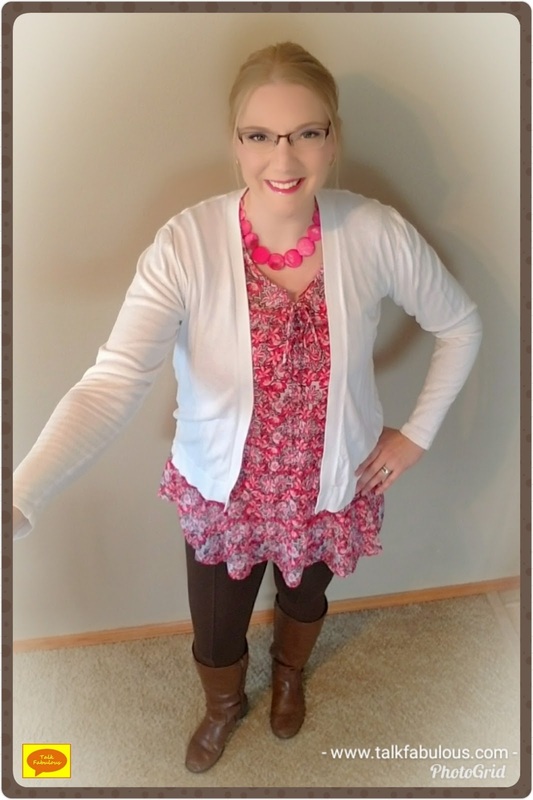 I decided to test it out today by pairing the pink shirt with brown leggings, a white sweater, brown boots, and a pink necklace. I gotta say, I’m kinda loving this look! I especially love how the bottom of the shirt flares out giving it the look of a skirt almost. What do you guys think? What pieces do you use for both cool and warm weather? It’s so cold! It is winter after all, but seriously this is extreme. Just because we need to bundle up doesn’t mean we can’t still look stylish. An easy way to do that is to add a scarf. Yup, it’s that simple. 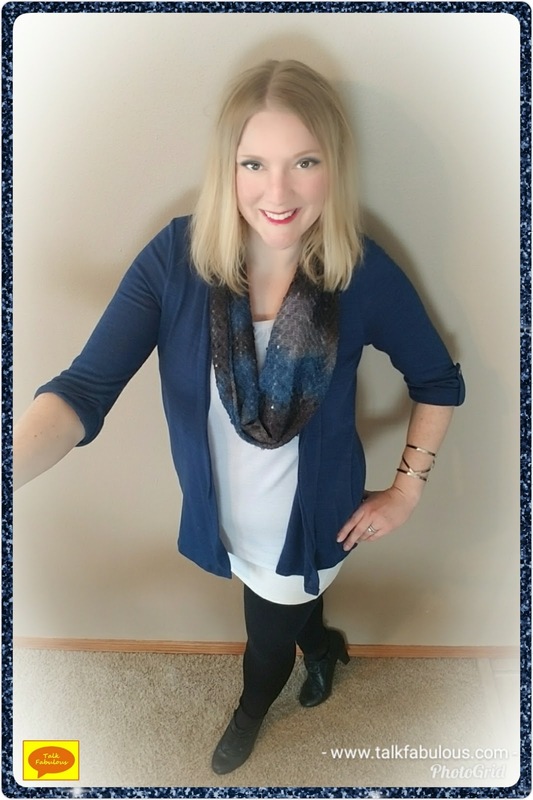 For my outfit today, I paired some jeggings, a floral tank, a navy cardigan, brown boots, and, of course, a scarf. 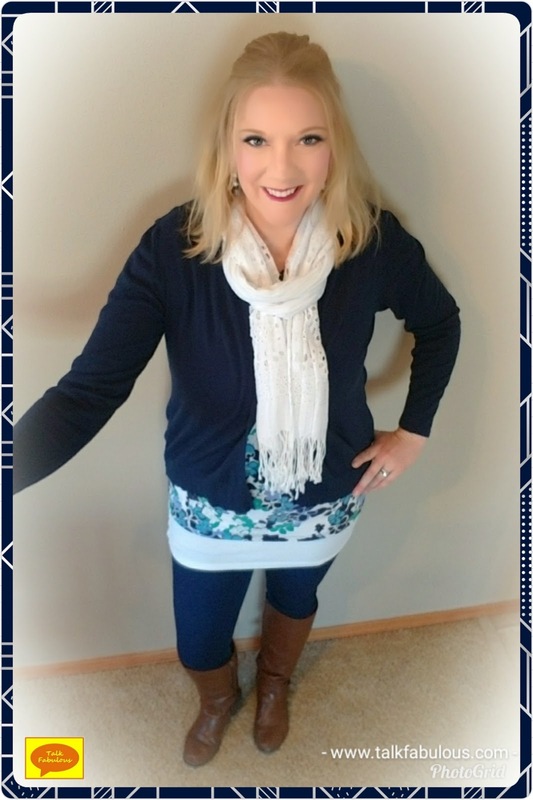 An outfit that’s easy, stylish, and warm? That’s my kinda look! What’s your trick to stay warm and stylish during the winter? Today, let’s talk neutrals. You have your common neutrals such as white, black, and brown. Those are our go-to neutrals. However, there’s a whole world of neutrals out there that rarely get love such as navy and olive. These off-the-beaten path neutrals also pair nicely with many colors just as the common neutrals do. I decided to put that to the test today as I was recreating the inspiration pic. The photo shows an ivory sweater paired with the brown cardigan. Welp, I discovered I don’t have an ivory shirt that would work with this look. Diving deeper into my clothing collection, this olive shirt caught my eye. That could go with this outfit, I thought. 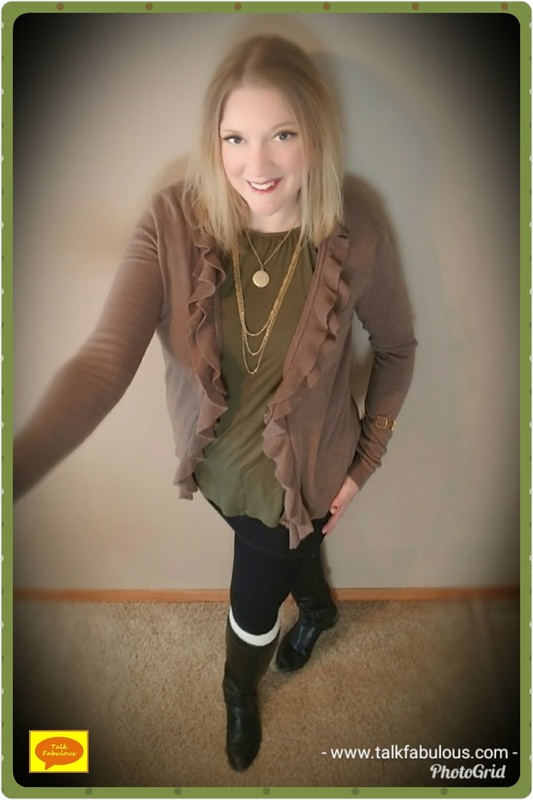 To recreate the look I paired the brown cardigan, olive shirt, black leggings, black boots with ivory cuffs, and a bold gold necklace. This brown cardigan is a bit tricky as it’s not the typical shade of brown that I normally wear. That’s why I went with the black boots instead of brown ones. It works well that way, though. What do you think of this look? Some side notes on the pieces in today’s outfit. Both the caridgan and the tee are from thredUP. I love the ruffles on the cardigan. They give the piece such a feminine and flirty vibe. So pretty! The olive green top is actually on backwards here. Follow me for a second. The front of the shirt has a keyhole opening, which is cute and all, but didn’t work well for this look. To solve that, I put it on backwards. This is a trick I use quite a bit. Have a tank that’s too low in the front? No worries, just put it on backwards. Problem solved. Today, let’s talk luck. 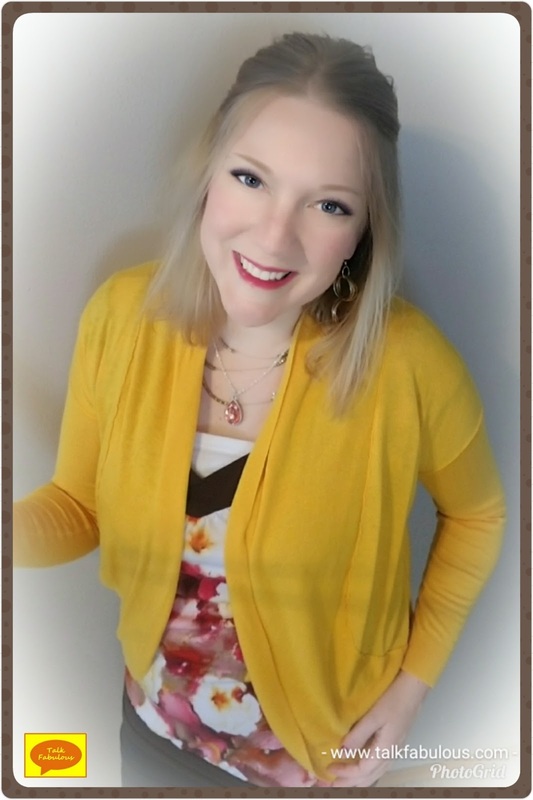 One night I was perusing the thredUP app. On a side note, this is one of my favorite things to do while watching TV. I can’t sit still and just watch; I must be doing something else. Anyone else like that or is it just me? Anyway, I ran across this super cute floral shirt and quickly added it to my cart. Once it arrived at my door, I immediately tried it on and loved it even more than in the picture on the app. With the brown trim, I figured I could wear it with a brown cardigan and call it a day. I hung it in my closet and didn’t think much about it for awhile. This morning I was looking in my closet for outfit inspiration and I certainly found it. 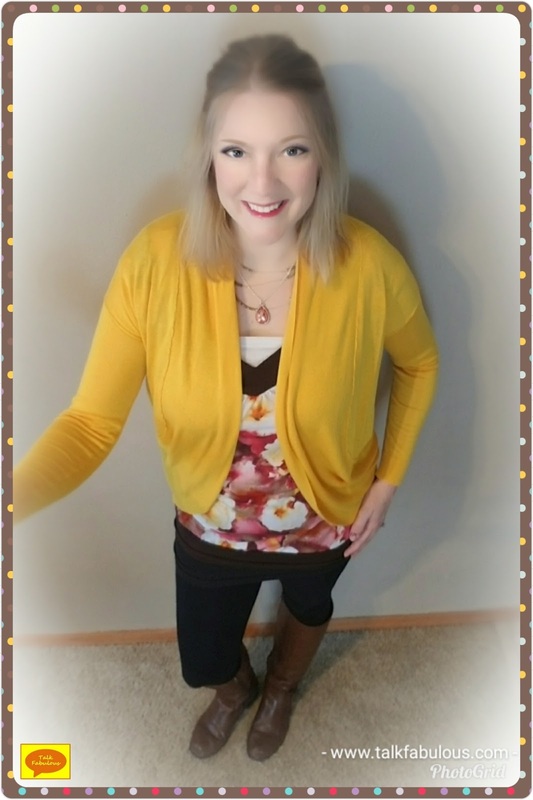 The yellow notes in my new floral shirt matched my yellow cardigan perfectly! How awesome is that?!? I took those two pieces and paired them with a white tank, leggings and brown boots. This is an outfit I can’t wait to repeat more this season! I love a good pair of leggings. They are so comfy and stylish. It’s easy enough to slip on some leggings with a cute tunic sweater, throw on a pair of knee-high boots or ballet flats, and you’re good to go. That’s basically my winter uniform. To switch things up a bit, let’s sub in some ankle boots. 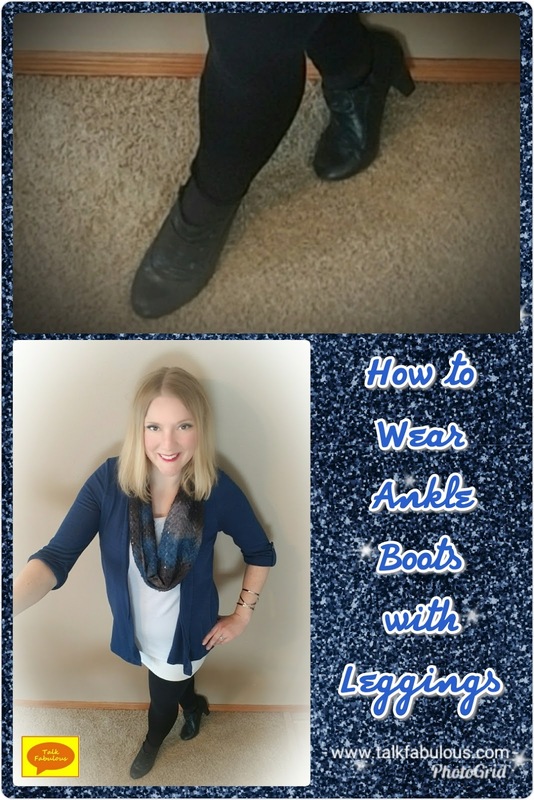 Ankle boots are a more challenging option for me as I’ve always struggled with how to style them. They look super cute on other people, but I never thought they looked flattering on me. Recently, I’ve been intrigued to try them again. This time I looked for inspiration everywhere from family and friends to Instagram and social media to Pinterest. A look I saw over and over is to match the color of the leggings to the color of the boots. 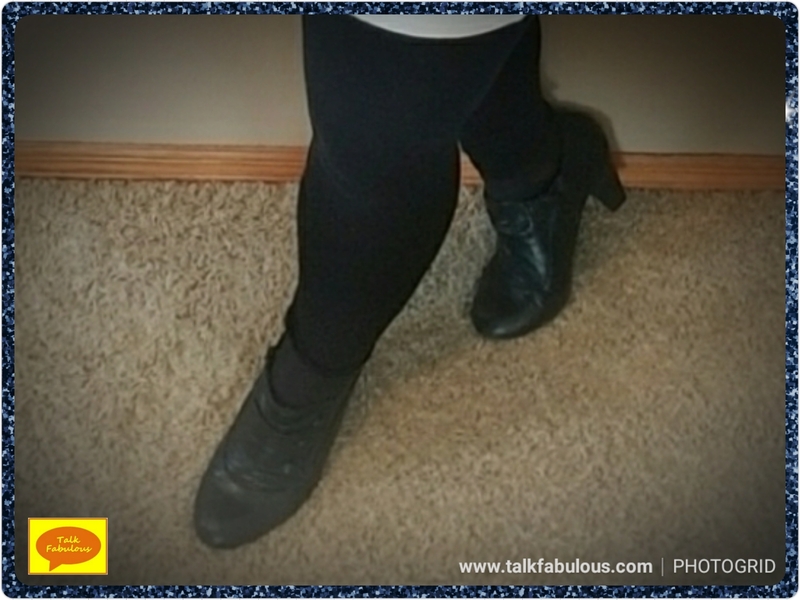 Black leggings and black boots, easy, right? Right! It’s a no-fail way to style leggings and ankle boots. Not only that, it’s an easy way to dip your toe into the world of ankle boots. Go on, style away! How do you style ankle boots? 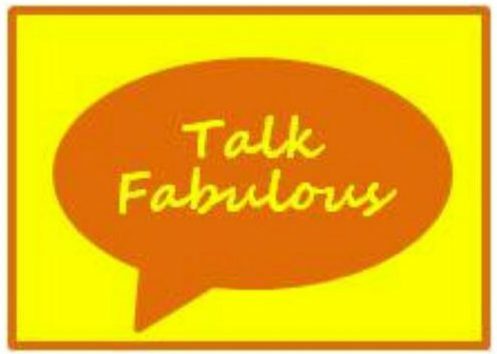 Today, let’s talk multi-purposing. I love using items for more than one thing, especially when it comes to my wardrobe. 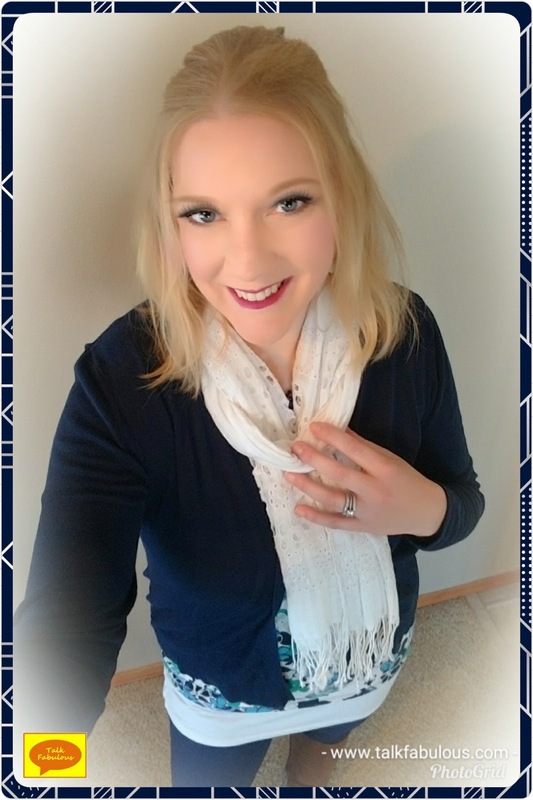 My challenge today was to use a summer dress for a winter look. Starting with the dress, I added some brown leggings, a cream cardigan, and brown boots. Not too bad, if I do say so myself! How do you adapt your summer clothes for winter wear? It’s baaaaack! 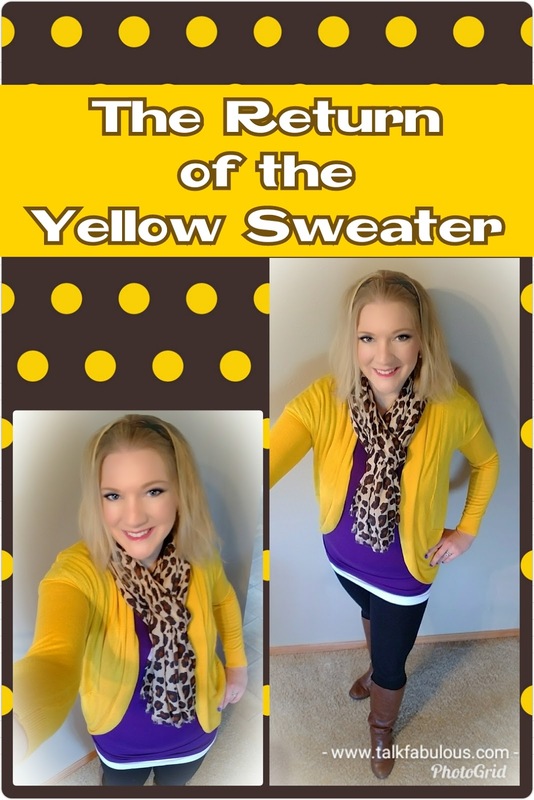 Yup, the yellow sweater has returned! If you remember, last winter I had the hardest time figuring out how to wear this cute little item. Check out the previous posts featuring this sweater here, here, here, and here. Let’s see what the yellow sweater has in store for us today! I was in some kind of sassy mood this morning. I mean, seriously, check out this outfit. 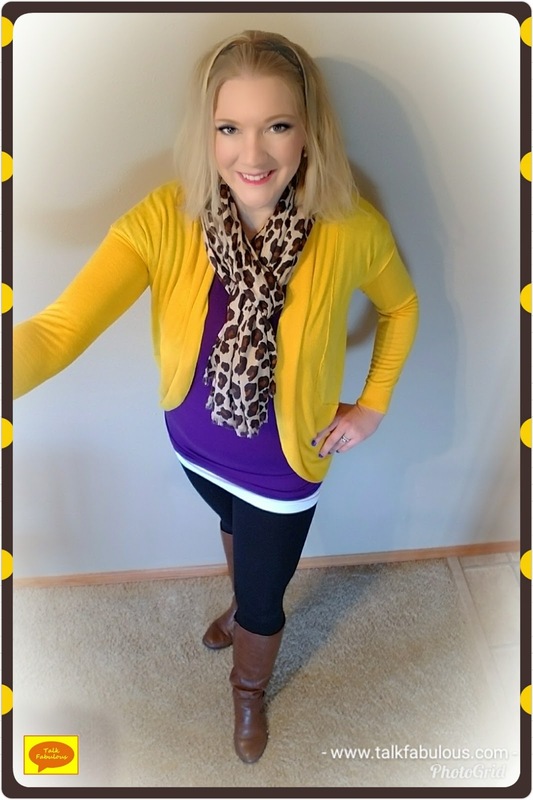 Yellow and purple and animal print, oh my! To be honest, I don’t know how I came up with this number. I think my thought process went like this. I wanted to wear leggings, so I grabbed a pair of black ones. Next, I opened my drawer and saw the purple shirt, so I grabbed that. It finally feels like winter here, so I needed a sweater. Not wanting a predictable color, I gazed into my closet for another option. The yellow sweater popped out at me for some reason. 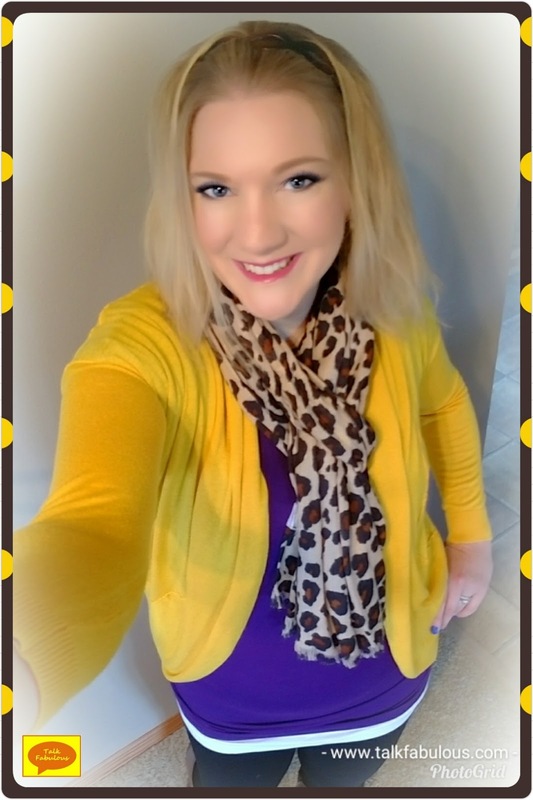 Yellow and purple are complementary colors, so I figured that would work. Realizing this outfit was getting funky, I steered into the skid and threw on the animal print scarf. I got so many compliments on this outfit and had so much fun wearing it! Would you wear this outfit combo? Today, let’s talking matching. Remember back in the day when your shoes had to match your purse and all the colors in your outfit had to match perfectly? This involved a lot of comparing making sure the shade of each item was just right. I’m glad the fashion world has moved away from this matching principle. Today’s matching is much simpler. Instead of matching we just want to ensure the colors in our outfits go together. This is not only easier but opens the door to a much larger pool of outfit possibilities. It also makes each item in our wardrobe more versatile as we can “match” it to more pieces than we could back in the day. Today’s outfit inspiration is a great example of items going together. No piece in this outfit is the same color (the shoes and the purse are close but not quite the same) nor is there a piece that ties everything together. The items just go together and look good together. With fewer fashion rules than ever now, it’s a great time to get creative with your outfits. Just start putting items together. You might be surprised what you come up with! What do you guys think about the rules of matching in today’s fashion world?